We had a very exciting week here. 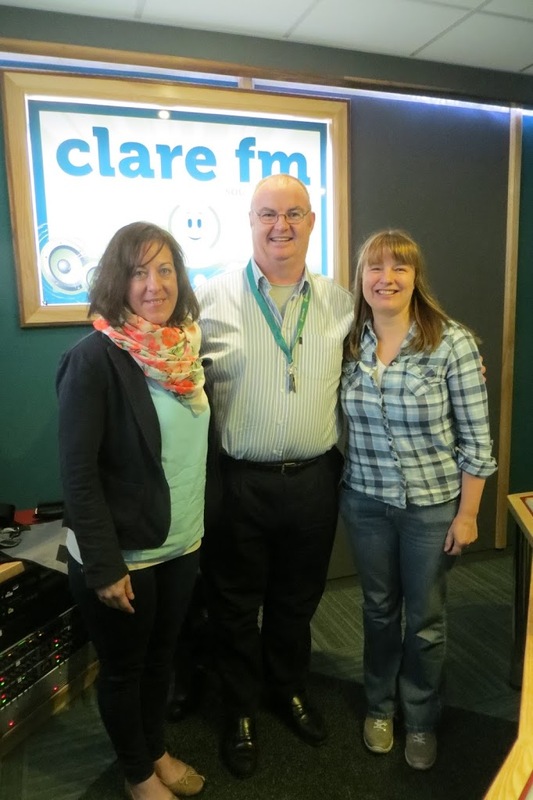 On Monday, myself and Christine were interviewed on ClareFM's Morning Focus radio programme, which you can listen to here if you are so inclined. Christine, Pat Flynn & Me. Christine and I met up before hand to go over our miniscule notes. Gosh, no matter how prepared you are, you are never really prepared. Anyway, we were reminiscing about how we met. I hope she doesn't mind me mentioning that she is almost 10 years diagnosed with type 1 diabetes and it was about 8 months after her diagnosis that we met. Christine has been there since the first type 1 diabetes meeting in Ennis. When you move to a new place it is hard to make new friends, really hard. We got a little sentimental about the fact that time just flies and how our nerves were just shot and our hearts were racing at the thoughts of being interviewed. On the same day, Ireland's independent health website www.irishhealth.ie published a story about Thrive-abetes. Anyway, enough with the digression! I realised after last weeks announcement that I had not updated the conference programme to include our additional speaker. Click on the link of the schedule that you are looking for. Conference programme schedule for Adults with Type 1 Diabetes. Conference programme schedule for Parents of Children with Type 1 Diabetes. Don't forget to Register here for Thrive-abetes. Older PostSugar Surfing at Thrive-abetes! Announcing another AMAZING speaker!! !